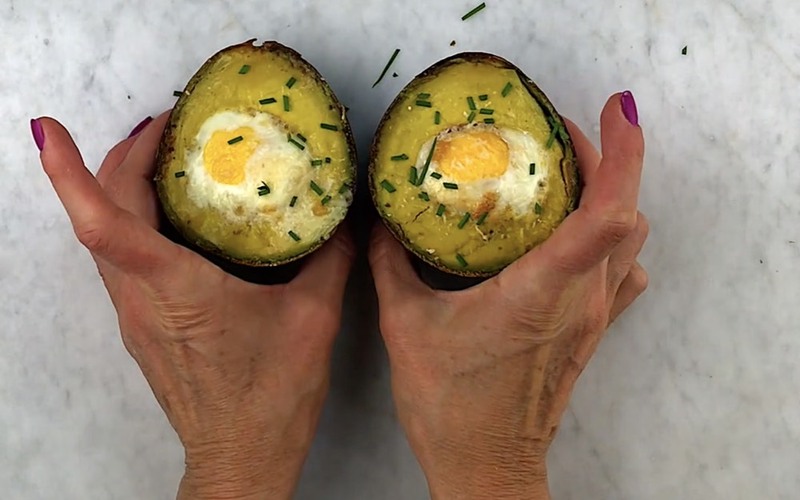 Baked Avocado Eggs are the perfect addition to the Keto School (or work) lunch! They're easy to make, full of healthy fats and protein. Best of all they are totally delicious! I crave these for breakfast just as often as I want them for lunch. 1. Preheat the oven to 375F degrees. 2. 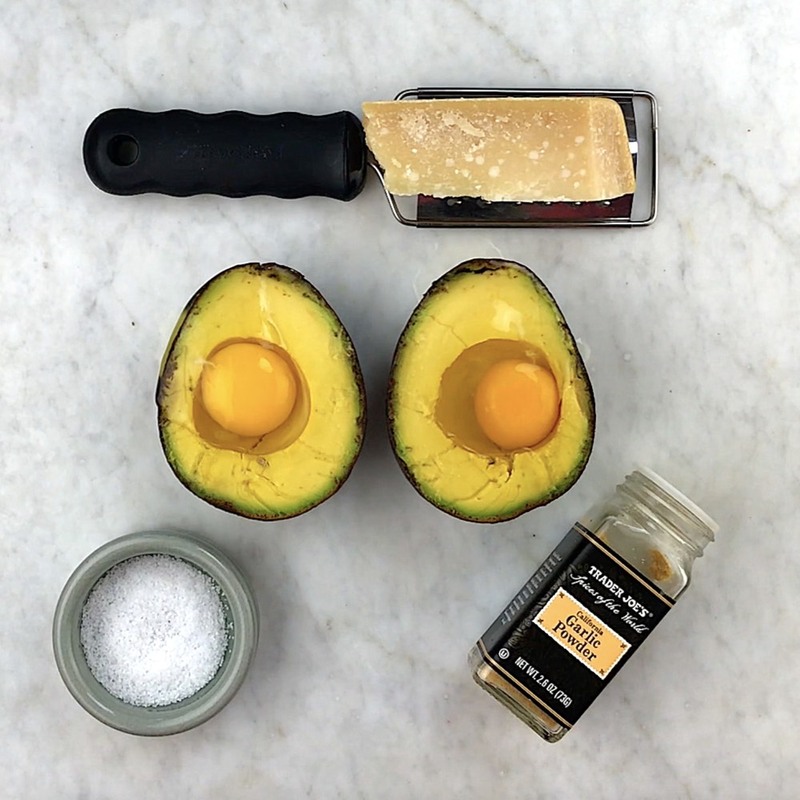 Crack 1 egg into each avocado half, sprinkle with garlic powder, salt, and parmesan cheese. 3. Place the avocados in muffin cups so they are stable. Bake until the egg is set, about 18-20 minutes.